As a project manager, requirements engineer and C++/Java developer i saw a lot of people with the right ideas to improve the project, but they havent the methodologies to succeed. This here can help to accomplish success. 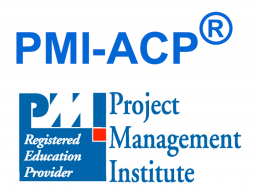 It explains the PMI-ACP® exam preparation course. This are 21-30 Webinars of 45 min training + 15 min Q&A held in 11 weeks. X-AM (http://www.edudip.com/w/237682) and Excel based Tools are included. You harvest 21 PDU. The exam prep course is held in conjunction with the partner R.E.P. STS SA (http://www.sts.ch). Individual sessions are also possible. We are looking forward to welcoming you to our webinars / seminars. More informations about PMI-ACP: http://www.pmi.org/Certification/New-PMI-Agile-Certification.aspx .